There are 15 books so far, I think. They're a great read about horses from the Bella Sara Card series by Felicity Brown. This series rocks! I think everyone should read it whatever age you are! This series rocks! My favorite one is the 1st one bellas gift. If you love horses read the series. 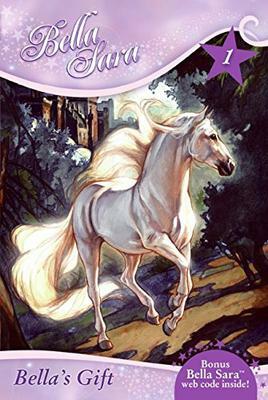 This book series is about the Bella Sara horses. This is good but it isn't the best. All about Bella from the Bella Sara Horse world. There are a whole series of books that I like. Really neat stories in all of them. In this one the horses work together save a girl and her animal friends. Lots of adventure. I love them because I love horses. I love the Bella Sara website! I bet the books are just as good! I enjoy these books. They are a little kiddish but who cares? They are really cool. I love Bella Sara I've read them all! There are 11 books, I think? My fave one is Valkrist Flight.